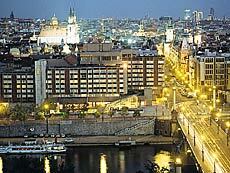 Discerning travellers looking for five-star luxury in the heart of Prague find that the Hotel Intercontinental Praha offers exceptional comfort and convenience. The guest rooms offer views of River Vltava or the Old Town and feature all the amenities of a first-class hotel including superb marble bathrooms. The hotel's 364 elegantly designed guestrooms and suites - whether with river or city view - are air-conditioned and feature a mini-bar, trouser press, color TV, radio, direct dial telephone, electronic safe and the spacious marble bathroom with a hair drier, weighing scale and a bathrobe. 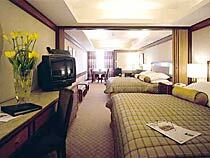 For travelers looking for extra space and comfort the hotel offers a wide range of deluxe suites. Gastronomic facilities of the hotel include the restaurant “Zlata Praha” with a breathtaking view of Prague, well known for its specialties and romantic atmosphere, and the restaurant “Primator”, which combines fast and friendly service with a warm elegant setting enhanced by a lovely view of the Vltava River allowing for a top quality experience. The relaxing health centre includes an indoor swimming pool, sauna, solarium, beauty salon, hairdresser and a fully equipped gymnasium.